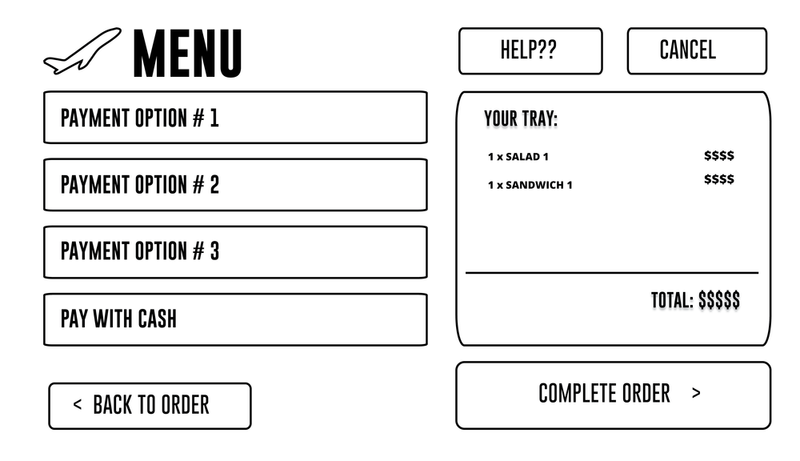 How can I design a seat-back experience to expedite ordering food on flights? 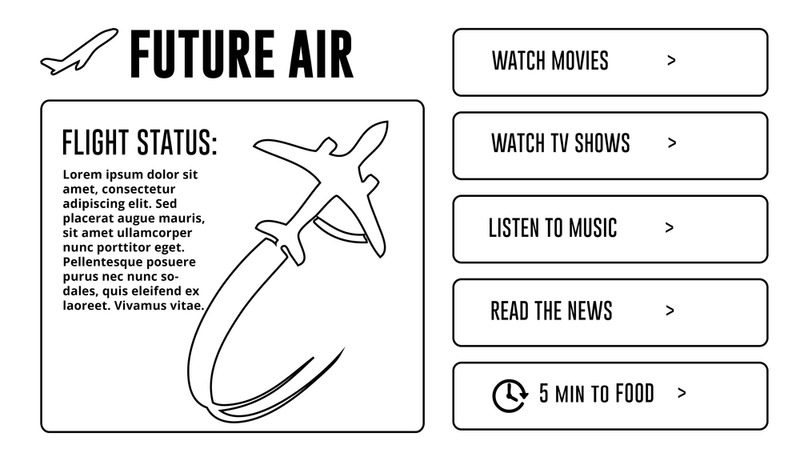 FutureAir is an exercise in UX Design. 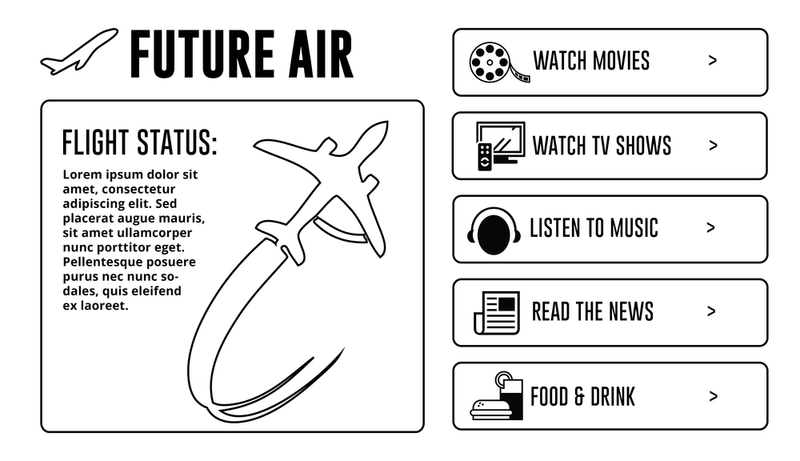 It is an in-flight seat-back system which allows airline passengers to order food as efficiently as possible. 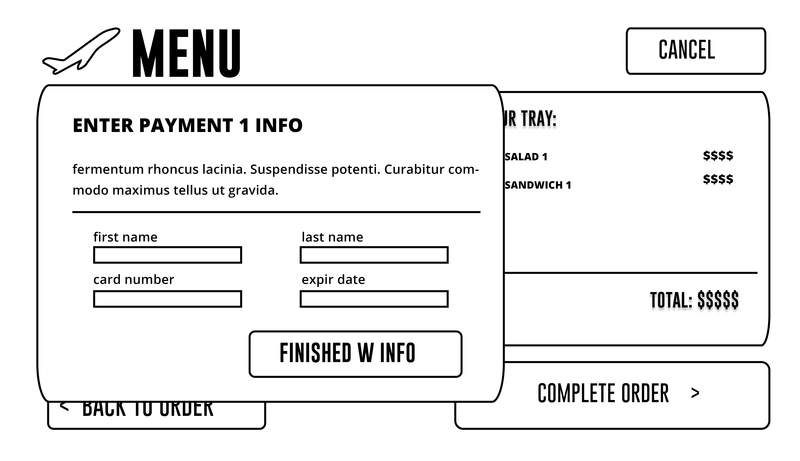 I developed the concept from flow to wireframe. I also identified three key functionalities, developed a script to test them and executed 6 rounds of User Testing. 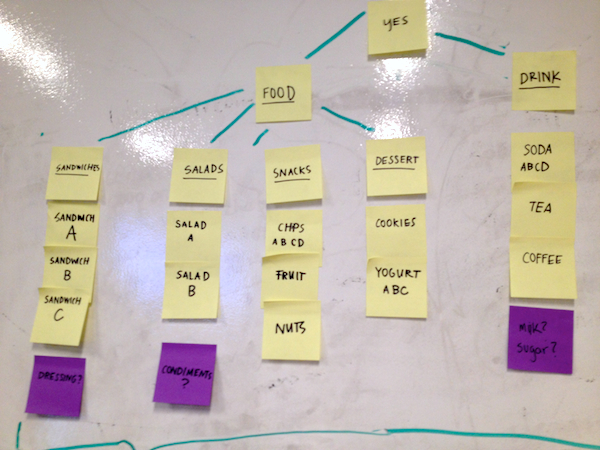 Explorations of the user flow. 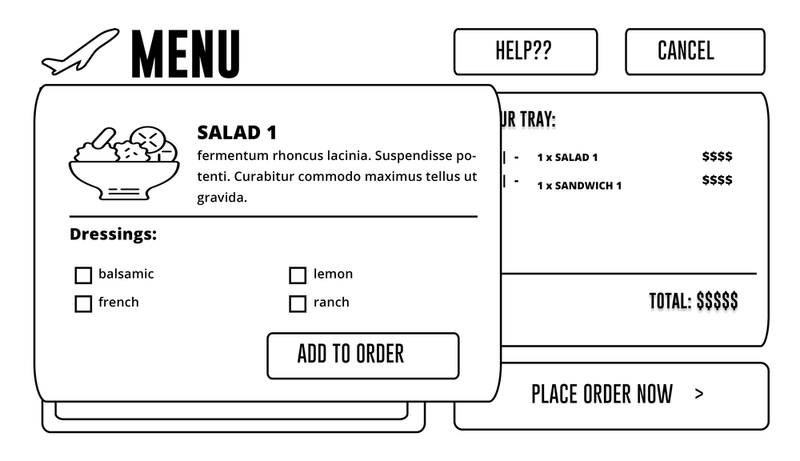 I based the initial sketches on food-ordering systems that are popular and that I also enjoy using - such as Grubhub and Seamless. Starting from the home screen navigate to the food menu, choose the first salad, add balsamic dressing and add it to the “tray”. Complete and pay for the order by using payment method 1. Start to place an order and then ask for an attendant. User's completely the first 2 tasks with ease but ran into some challenges with the final one.